We spent more time on the road and in the air jetting off to some pretty fabulous places on this gorgeous planet in 2014! Gearing up for retirement, maybe? You bet I am! I’m counting down the next few years to give up the daily commute and just hang out on the acreage in my kitchen and gardens! We started off the year’s travels with a bang by spending two perfect weeks in Italy . . . beginning in Rome, the Eternal City, then taking the high speed train to Venice, a magical city to say the least, and finally, the ultimate ending was spent with my family on both my mother’s and father’s sides in Modena and the mountains of Modena. Words nor photos can describe this extraordinary experience! I’ll share more about each beautiful place on this trip throughout the year for your armchair travel pleasure! I know you’ll love it! So above (Rome) and below (Venice and Modena) are some tiny, tiny, TINY visions of the beauty of our Rome, Venice, and Modena, Italy Travel, 2014 ! going home to Modena, Italy was the most incredible experience of all of our trip! Excuse me while I tear up in amazement of and love for my native homeland. I’m excited to share more with you soon! In the meantime, can you do me a big favor? Leave any question that you may have about travel to Italy and I’ll be thrilled to give you some great advice! 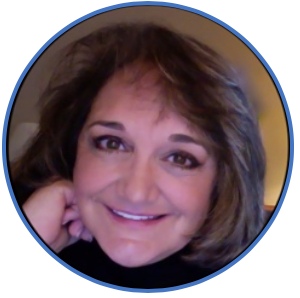 Your trip sound marvelous and how nice it has to do with your family history Roz. I have a question. We will be in Provence and my husband wants to drive over to Modena for a day or two. He says it’s because it’s Pavarotti home, but I suspect the Ferrari factory being located there certainly plays into his decision too. Any advice , including your favorite restaurants/bistros and anything we shouldn’t miss, besides the two mentioned. It’s so great to hear from you! Yes and yes, to all of your questions. Pavarotti’s home is just down the road from my family’s house; it’s a much smaller city than Florence and Rome, so VERY easy to get around. Pavarotti’s home was turned into a restaurant and I will ask my cousins if it is recommendable. His grave is very interesting and has numerous visitors, but we were all alone when we visited. I have an interesting tidbit of info for you about Pavarotti that I’ll email you with. There are 2 top restaurants in the world in Modena of which you have to make reservations very far in advance. I will also email those names to you with some advice. Yes, the Ferrari museum is just south of Modena, by about 10 miles in Maranello. I was never a car fanatic until I visited this museum. It is amazing. . . make sure you do two things after the museum, take the shuttle tour (about 15 minutes) and do the simulation drive. You can also pay dearly to drive a Ferrari, which my husband would not allow me to pay for him to do. You may also want to go ‘downtown’ to one of the oldest Roman times Catholic Cathedrals . . . it is ancient. Where Pavarotti’s funeral was held. Tiny little boutiques line the streets. I’ll email you with more information. Thanks Roz. I look forward to hearing more from you about restaurants and we’ll be sure also not to miss the Ferrari factory. Sam, I have not forgotten to get back to you. It’s been insane here and I’m just now coming up for air. Thanks for your support that you gave me on FB! I really appreciate it so much. Bill is driving me to work tomorrow since I’ve received no security. It’s just crazy! I hope that you are enjoying retirement. I look forward to it so much! Oh Roz, how wonderful to have family in Italy. I’ve visited Italy several times as a tourist only and I know we get the santized version of what a country is like. I’d like to know what your family eats – what does a weekly menu look like? Hi Maureen, I think that whenever we take a lot of trips, that all of us naturally fall into the touristy mode and rarely get to see how the natives actually live. In answer to your good question: my family has light breakfasts of a pastry and espresso. Nothing else. Then they have a huge lunch that lasts for hours. Wine, pasta, appetizers, veggies, dessert. Very heavy lunches. Dinners are nothing but a small piece of protein and vegetables and no dessert. They eat wisely, with little at the end of the day and they are all very, very thin. We have a lot of things backwards in the States I think, but that’s just my opinion. Just visited your blog and not sure if my comment went through and just wanted to let you know. Dear Roz, What a beautiful vacation and memories. 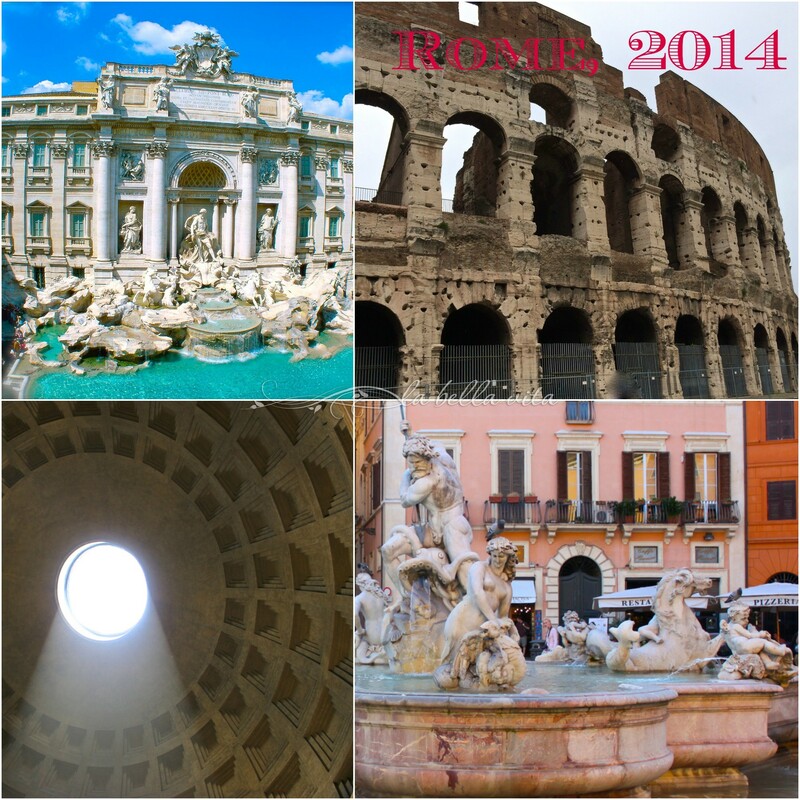 Thank you for sharing these pictures of Italy. It must a been a beautiful, breathtaking experience. I am so happy for you. 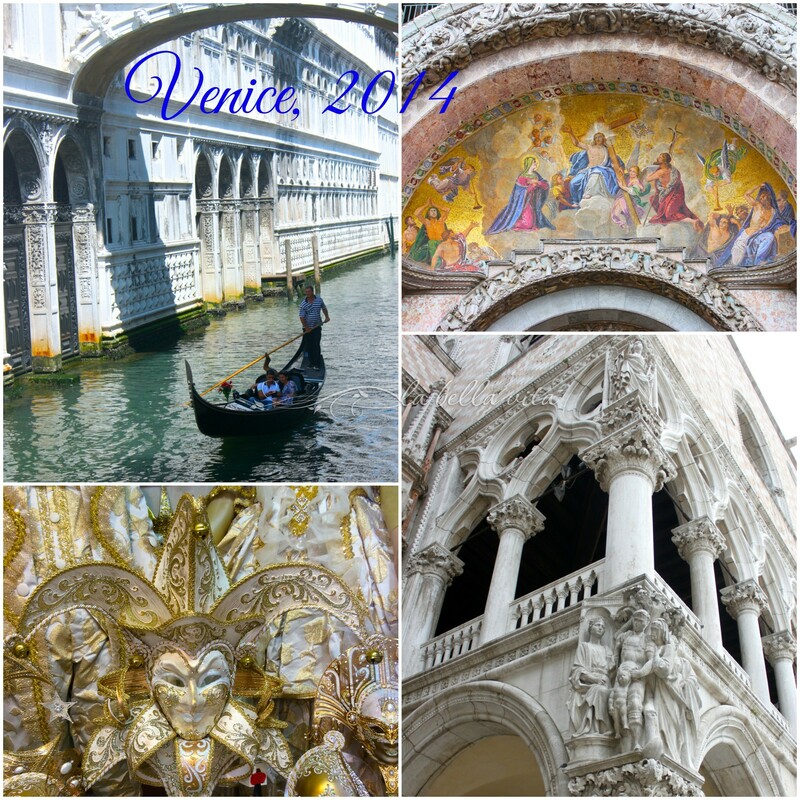 Oh Roz- your photos are fabulous and remind me of our 2 week trip to Italy. We had the best time ever. How lucky that you have family there. Thank you for sharing and I’ll be looking forward to the future photo shares! Happy New Year. Thank you so much Judee! Hey, I love the beet recipe that you just posted. When visited your blog, I left a comment, but am not sure if my comment went through and just wanted to let you know. Buon 2015 Roz,tanta salute, amore e serenità, un abbraccio ! Grazie Chiara! I love the risotto con zaffarano on your blog that I read today. I hope that you received my comment, because I could not see it posted. Buon Giorno amica! I have not received your comment, I do not know why, thank you for responding here !Have a good day Roz, a hug ! It’s good for the soul to visit Italy, isn’t it? I haven’t been to Modena, but it looks beautiful. Thank you for sharing! Your welcome Andrea! What a meatloaf you just posted on your blog! I hope that you got my comment, since I didn’t see it before I left. Have a great evening! I’m glad you mentioned your comment, because it was in my spam folder for some reason. Thanks! What a gorgeous place! It is on my wish list. If I ever make that dream come true, I will come to you for advice! Thanks Pam! I’ll be happy to give you some travel tips to that area of Italy when you are ready! Hey, I just visited your blog and not sure if my comment went through and just wanted to let you know. What an amazing trip! 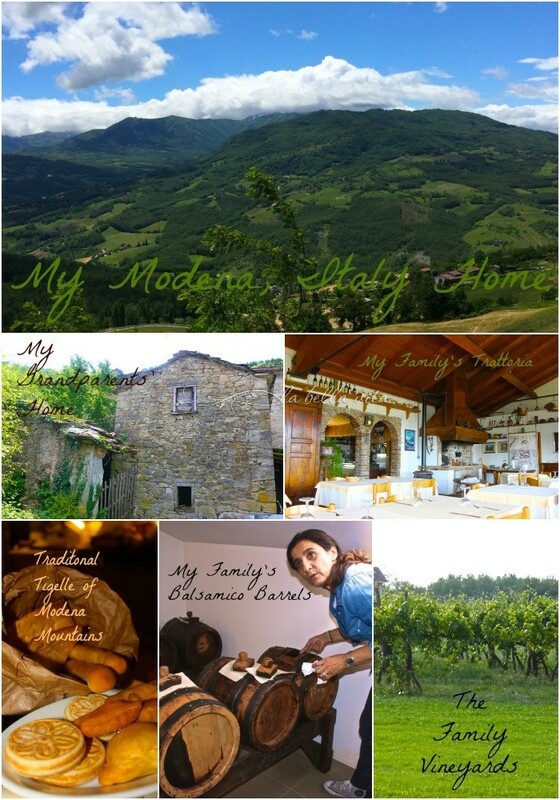 Your home in Modena looks breathtakingly beautiful, Roz. Thank you so much Angie. It is a very humble place in Italy. I love, love, love the salad with anchovy vinaigrette that you have on your blog and just wanted you to know that I commented and it didn’t appear. I tried to pin it, but the button didn’t work. However, I was successful in printing it out! YAY! I can’t wait to make it! Hi Roz, I just tasted the pin button, and it seems to work fine, both the button on the image and on the leftside. Grazie bella amica! Just visited your blog and not sure if my comment went through and just wanted to let you know. Love the chicken with pears! Beautiful, beautiful pictures, Roz! I love the picture of your grandparents’ house. I am not familiar with Modena at all, but looks so pretty in the pictures. I hope to go to Italy with my husband someday. Thanks for sharing your photos with us. Hello! I’m new to your site and doing a little research for places to eat when I visit Venice, Florence, Tuscany & Rome with my husband, 2 kids & mother-in-law in August 2016! I would love any recommendations for authentic local restaurants & spice shops/salumerias we could visit in each city! Every year we prepare a themed Christmas Eve feast with my husband’s family(~30-40 people) and already know we’ll focus on our favorite dishes we enjoy while in Italy! I’ve only just started reading your blog and am already finding hints at what dishes to try when we go! Thank you for any & all information! Take Care!